South Korean striker Hwang Ui-jo turned his focus to the future after his first major football tournament ended with regrets on Friday. 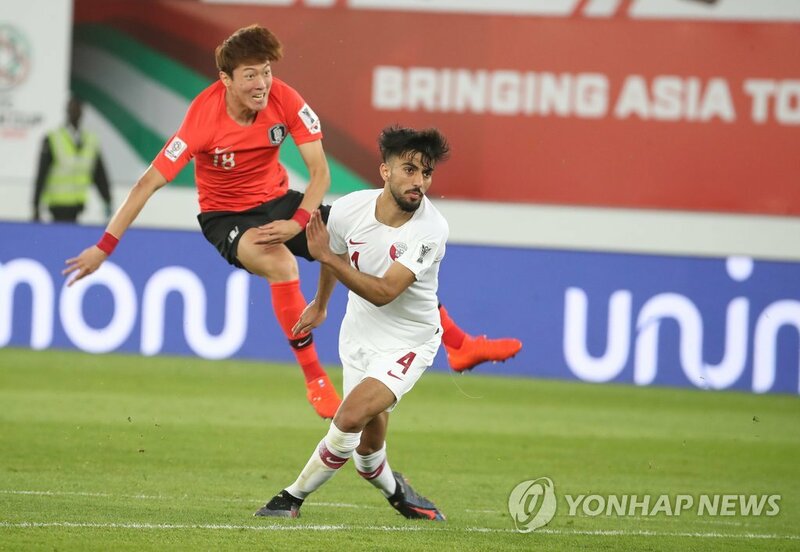 South Korea were eliminated from the Asian Football Confederation (AFC) Asian Cup after suffering a 1-0 loss to Qatar in the quarterfinals. Hwang was South Korea’s main target man, but failed to solve Qatar’s stubborn defense at Zayed Sports City Stadium. Hwang was the top scorer at the 2018 Asian Games in Indonesia, where South Korea took the gold medal. With his superb performance at the Asian Games, Hwang quickly emerged as the first choice striker for the senior men’s national team coached by Paulo Bento. 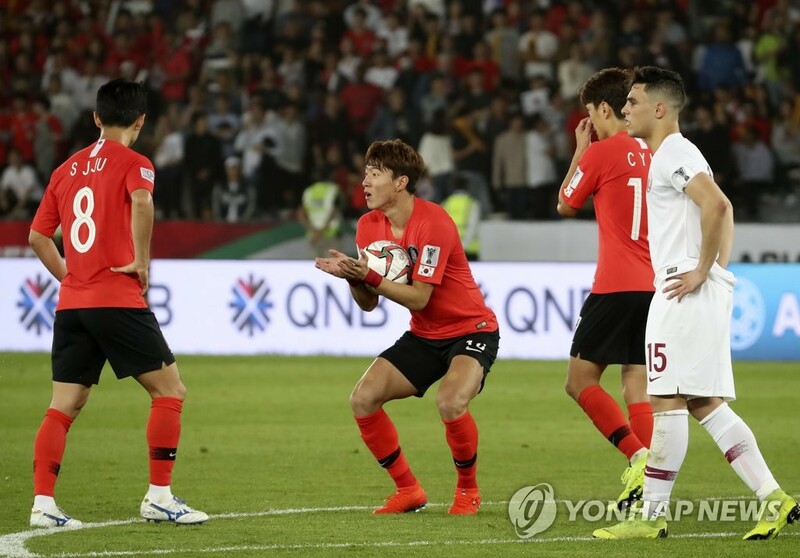 Against Qatar, Hwang produced South Korea’s first shot on target in the 48th minute with his powerful right footed strike. South Korea fired 10 shots against Qatar, but only two of them went on target. Hwang said his team should have done a better job on offense.